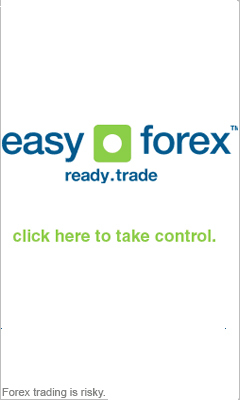 eSignal is one of a few brilliant forex charting packages around today. It’s an easy to use forex charting package that contains many commonly used features along with an exclusive aesthetic graphical interface. We give this forex charting package a rating of eight out of ten. Pro Real Trend is tool can be used by investors of all levels of experience to analyze the current market trends by displaying analysis and trends on a simple to understand linear format. We give these FX charting packaged a rating of eight out of ten. Ninja Trader is a trading tool that allows investors to deal in equities, forex, or futures through over a 100 brokerages from around the world. We give this forex charting package a rating of eight out of ten. Equis Charts MetaStock Pro is great for all types of investors as it comes with various trading solutions including the brand new RMO trading system, Fibonacci projection, customizable time scales, and dynamic trend integration. We give this forex charting package a rating of seven out of ten. MarketDelta has an exclusive Footprint Chart functionality and offers investors the ability to this see inside the charts. We give these foreign exchange charting packages a rating of seven out of ten. QuoteTracker from Medved Charts is a multifunctional forex trading tool which allows users to trade stocks, indices, options, bonds, futures, forex, and more. It offers excellent real-time charting, and trading options through Scottrade, Interactive Brokers, and Ameritrade. We give this forex charting package a rating of seven out of ten. Aspen Graphics forex charts gives users a simple and intuitive user interface, as well as loads more. It gives investors with the ability to see charts in any a variety of time frames to help in trend analysis. It also offers you the ability to simply customized all forex indicators. We give this forex charting package a rating of seven out of ten. eSignal Live Charts is a commercial charting tool that provides browser based real-time forex charting for over 20 different trends. We give these FX charting packaged a rating of seven out of ten. Wave59 Modern Charting Package has Astrology Indicators on board and employs an exclusive combo of techniques to predict composite cycles and genetic algorithms. We give these foreign exchange charting packages a rating of seven out of ten. FXTrek Intellicharts allows investors to program alerts to be sent to their email or cell phones, it has more than 5 dz time scales, and with 2 separate data providers it allows traders to combine various indicators. We give this forex charting package a rating of seven out of ten.